Alexis Sanchez has been left out of the Arsenal squad for today's game against Bournemouth, as his move away from the club edges ever closer. 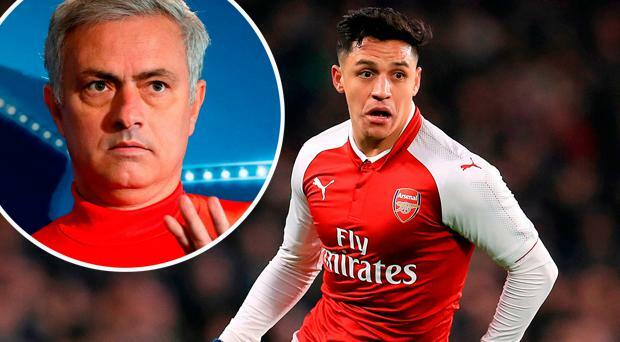 Manchester United have emerged as a strong contenders to sign Sanchez after they offered Arsenal a bigger payment for the attacking star who is out of contract this summer, as well as reportedly proposing bigger fees for the player and his agent to move to Old Trafford this month. Arsenal boss Arsene Wenger has admitted Sanchez will leave his club this month, with the final decision on where he will end up now set to be handed over to the player and his advisers. "He's being vague, we have left him at home because of the situation," Wenger told Sky Sports. "I still don't know what is going to happen. "Don't read too much into it because even I don't know which way it will go." "It looks like Sanchez will not extend his contract," confirmed Wenger on Friday. "These guys want to win, and they want to make money as well. So, they want a combination of the two, that big clubs can give them. Incidentally he’s won trophies with us. "So he wants to fight as well for the Premier League, that’s normal, when you are at that level." Sanchez was expected to seal his move to Manchester City next summer, but United's intervention may be an attempt to change the tide of momentum flowing towards their local rivals in a season when they are running away with the Premier League title. The decision now appears to come down to whether Sanchez will take the bigger financial package on offer from United or seal a move to link-up with his former Barcelona boss Pep Guardiola at City. Arsenal may be more attracted to a deal with amid claims that the Old Trafford club are prepared to offer midfielder Henrikh Mkhitaryan as part of the deal, with Arsenal legend Paul Merson in favour of that move. "I would let Sanchez go to Man United and get Mkhitaryan as part of the deal," declared Sky Sports pundit Merson. "I think Mkhitaryan is one of the best players in the Premier League when he is at his best and Arsenal need star talent if they lose Sanchez and Ozil. "Without those two, they don’t have a star and I think a deal for Mkhitaryan would be good for the club. "I look at Arsenal without Sanchez and Ozil and I’d ask what name would fans get on their shirts if those two go? This could be a quick fall from grace and Arsenal could be the new Everton next season."